I am truly excited being honoured with Liebster award for my blog "Creatikaa". 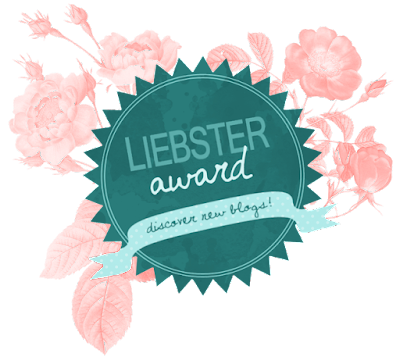 This is my second consecutive year nomination for the Liebster award and that gives me the hope to pursue my passion towards blogging and writing. As you browse for the word 'Liebster', you shall find that it is German word that means sweetest, kindest, nicest, dearest, etc. My blog is indeed my possession and my sweetheart. And to receive the "Sweetheart Award" makes me astonished. It isn't just an honour but the award gives an opportunity to get connected with fellow bloggers as well as discover new blogs. Gokoulane Ravi nominated my blog for Liebster Award. He is a computer enthusiast, mobile application developer, big-time foodie, runner and an avid traveler. Once again I thank him for his encouragement. The Liebster Award is an award that exists only on the internet and is given to bloggers by other bloggers. The earliest case of the award goes back as far as 2011. 5. Nominate 11 bloggers for the Award and have them answer 11 questions. 1. I am an athletic lad, sportsman and a massive adventure seeker. 2. I am a serious nature enthusiast and carry out birding, turtle walk and other related activities. 3. I worship nature, adore its offering to the humankind and carry out awareness and conservation activities. 4. I love doing research, especially exploring the unexplored. 5. I don’t believe in future and live in the present with whatsoever I have. 6. I love spending time with kids, especially to teach, discuss and answer their interesting and innovative questions. 7. I get irritated often on seeing people not conforming to the traffic rules on the road. 8. I am a serious hater of the crowd. I would rather prefer being with my wife or with a few people, whom I like. 9. I am an all-time foodie and appreciate anything and everything that persuade my taste buds. 10. I love driving (bike or car). 11. I don’t like speaking in English to someone who knows Tamil. 3. Do you have a favorite book – if so, which one? 4. What do you value most in life? Time. Once gone forever gone. 5. What does a normal day in your life look like? 6. What’s your most favourite food? 7. What’s the most memorable gift which you have ever received? 8. What do you admire most about yourself? 9. One favourite track that you like to listen on repeat and never get bored of it? 10. What’s your dream travel destination? 11. What’s your peace spot, the place you like to visit when you are down? I always enjoy reading these blogs and hence nominating them for the award. Kindly follow the rules and answer the same question that I have answered above. Congrats Gowthama! I think we share some common traits when it comes to loving nature and hating crowd. :D Thank you for nominating my blog. Such appreciations feels great. But those I would like to nominate have already received this award. So, I have acknowledged this nomination and added the post link to my blog's about page. Love your answers, Gowthama! I love the nature pictures your share! Thanks so much for the nomination! I've been nominated for this award for around three times earlier and this is the fourth. It's high time I write for it! Too lazy, really!